Fenestration | Room Darkening Shades | Blackout Shades - Window Products Management Inc. 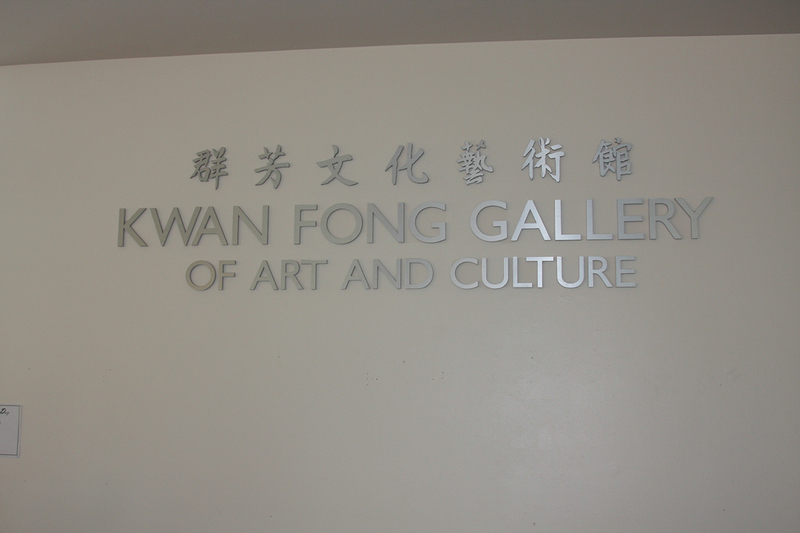 The Kwan Fong Art Gallery on the campus of California Lutheran University in Thousand Oaks, California had extreme glare and heat gain problems caused primarily by the architectural fenestration, specifically a 40’ skylight over the main display area. 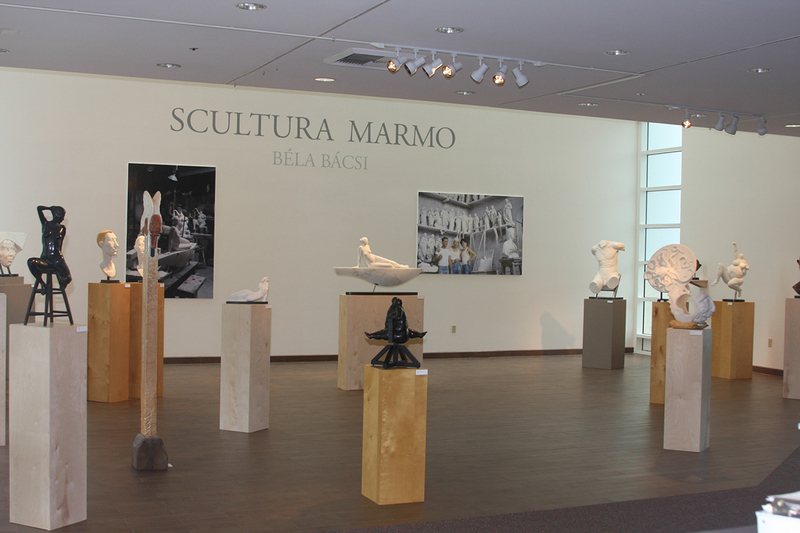 Additionally, there were a number of untreated windows surrounding the display area that was contributing to the problem. Window Products Management (WPM) addressed the skylight problem with two motorized overhead shading devices. 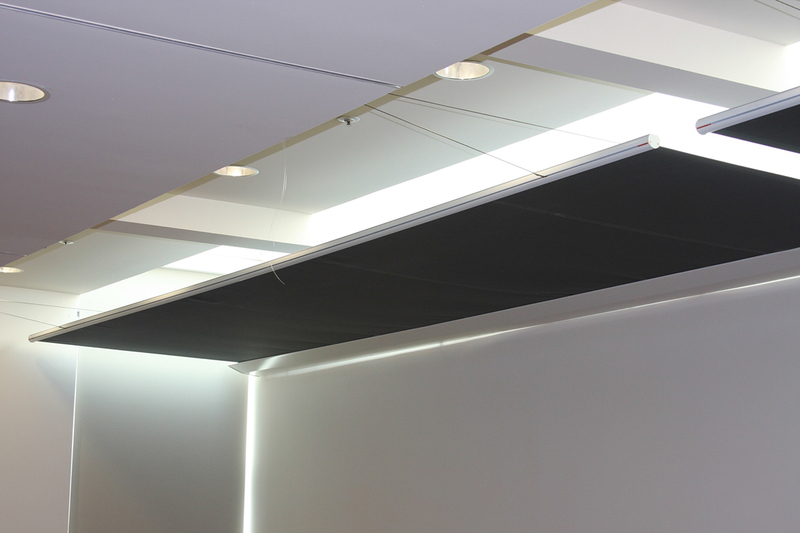 The two 20‘ x 5‘ tension mounted rolling shades were concealed within white powder coated hoods and pulled across the opening by way of a cable and pulley system connected to the motorized roller tube and hem-bar. The vertical windows were covered with motorized blackout shades, and both the skylight shades and vertical shades are controlled with radio frequency, wall mounted remote controls. WPM addressed all of the problems presented by the existing fenestration, and the skylight shades also added an interesting architectural feature to the building.